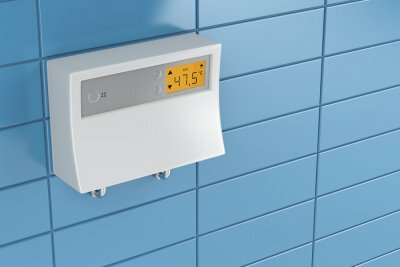 Are Tankless Water Heaters Better for the Environment? If you are seeking new ways to go green in your household, talk to your plumber about the benefits of a tankless water heater installation . A plumber that installs tankless electric water heaters near Jacksonville will be able to provide you with a new hot water heater that meets your household’s demands, while also protecting the environment. By taking the time to replace your old hot water heater with a new, tankless model, you can rest assured that you are doing your part to protect the planet. A tankless water heater benefits the environment in several different ways. Since tankless water heaters only operate when there is a hot water demand, they consume much less energy than conventional systems. Additionally, tankless water heaters produce fewer carbon emissions than their traditional counterparts. Since a tankless water heater lasts nearly two times longer than a traditional unit, it will also help to free up space in the landfill. While you may be all-too familiar with the types of plumbing leaks that can occur in the appliances and pipes that are located on the main floors of your home, it is also important to be aware of the dangers of hidden leaks throughout your plumbing system. A slab leak is a serious plumbing repair emergency that requires immediate attention from a plumber serving Jacksonville . 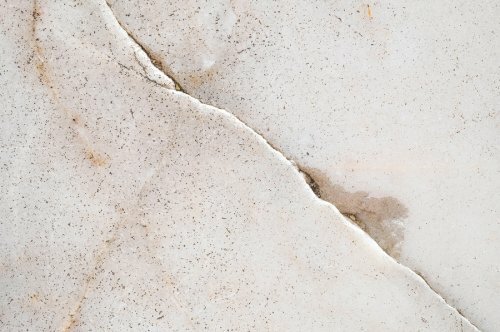 By keeping an eye out for the signs of a slab leak in your home, you can schedule prompt slab leak repair, before the problem gets serious. A slab leak is categorized as any type of plumbing leak that occurs underneath the slab foundation of your home. Before your home’s foundation was created, your contractors probably placed a series of hot and cold water pipes beneath its surface. If you start to notice water damage seeping up from the bottom levels of your basement, this could indicate a slab leak. Slab leaks can also cause unusual hot spots throughout the floors of your home. If your home is in need of a new water heater, you will want to trust your water heater installation to a professional. In this video, you will learn all about the common pitfalls and mistakes that are associated with DIY water heater installation. To avoid running out of hot water, you will want to make sure that your unit is properly sized for your home. A plumber serving Jacksonville can provide you with reliable water heater installation services that will help your water heater to provide you with the best possible performance. Without a correct water heater installation, you may wind up facing significant plumbing repair services for your home. Your plumber will make sure that the circuits that are connected to your water heater are properly soldered and connected. Once the installation is complete, your plumber will also take the time needed to eliminate air from your tank. Water is a precious natural resource that is used by all forms of life on earth. When you are working with your plumber to perform a kitchen or bathroom remodel in your home, you may want to inquire about the advantages of switching over to eco friendly plumbing fixtures. A bathroom remodeler that offers professional bathroom remodeling near Jacksonville can help you pick out an assortment of water saving fixtures for your household. Read on for a look at how replacing your plumbing fixtures can benefit the environment. 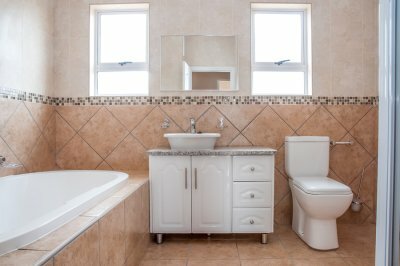 Your toilets are among the highest water using plumbing fixtures around your property. When you choose to replace your toilets, you can help you dramatically cut down on your daily water use. A toilet that was manufactured before the 1980s may use up to 7 gallons every time it is flushed. In comparison, modern toilets use a mere 1.6 gallons of water during a single flush. The water saving benefits of a new toilet will help to preserve fresh water. Replacing your faucets is another eco friendly choice for your home. With brand new faucets, you will be able to prevent wasteful water leaks and also reduce the amount of water that you consume when you turn on your tap. Additionally, you can choose to install a new faucet that has been constructed from environmentally friendly materials. Your plumber can guide you towards the perfect faucet selection for your home. Every time you take a shower, you will use many gallons of water. Using today’s low flow shower head technology, however, you will be able to carefully regulate the amount of water that is used during each shower. The advanced technology in today’s low flow shower heads allow these fixtures to deliver the same amount of water pressure, while using much less water. Replacing your shower head can also allow you to repair leaks and other environmentally unfriendly plumbing issues. 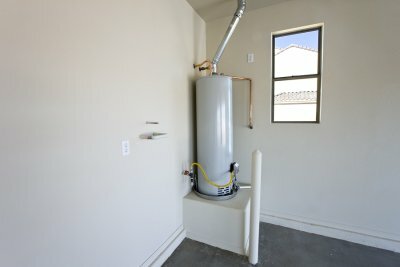 When your current hot water heater no longer provides you with adequate efficiency, it is time to start planning a water heater installation for your home. A plumber serving Jacksonville will be able to provide you with detailed information about all of the different water heaters that are available for your installation. With a new tankless water heater, you can achieve fantastic efficiency while also making sure that your household never runs out of hot water. To emphasize the advantages of replacing your old water heater, here is a look at the benefits of a new tankless water heater installation. If you have noticed that your household runs out of hot water during peak times of the day, you may want to consider a tankless water heater installation. With a tankless water heater, you can rest assured that your fixtures and appliances are receiving continuous hot water on demand. By creating hot water as it flows through your pipes, your tankless water heater will ensure that you never experience a shortage of hot water again. Hot water heaters can be a significant drain on water and energy bills. In order to cut back on your monthly hot water bills, you may want to explore the possibility of a tankless water heater installation. Tankless water heaters are up to 40 percent more efficient than their conventional counterparts, and a new tankless installation can help you save on your expenses each month. When you choose to install a tankless water heater on your property, you can also feel great knowing that your unit has been engineered to provide you with a long lifespan. In fact, tankless water heaters have been shown to remain in proper working condition for more than double the time of a conventional unit. After your tankless installation has been completed, you can feel great knowing that your system will provide you with hot water on demand for 20 years or longer. Your water heater is responsible for providing you with heated water for all of your daily activities. When you start to notice that your hot water heater is no longer providing you with clean, clear hot water, it may be time to start talking to your plumber about a water heater replacement. A plumber serving Jacksonville can help you choose the perfect new hot water heater for all of your plumbing needs. To help you decide when it is time to call your plumber, here is a look at some top signs that your existing unit is reaching the end of its life. One of the main signs that your water heater is ready for replacement is when you discover that your unit is reaching the end of its usable lifespan. Typically, hot water heaters will remain in operable condition for up to 10 years after they are installed. If you are wondering whether your unit is ready to be replaced, you can check the date code that is printed on the tank. Another sign that your hot water heater is ready for replacement is when you start to notice that the water coming from your pipes is dirty or discolored. If a water heater develops corrosion or sediment in its tank, these contaminants may start affecting your home’s hot water supply. By replacing your water heater with a brand new unit, you can restore the clarity and safety of your hot water. In order to decide when it is time to replace your hot water heater, you may also want to be on the alert for any unusual sounds that may be coming from your tank. As sediment builds up on the bottom of your tank, it may begin to form a hardened layer. Since your water heater will have to work harder to generate heated water, it may begin to make unusual clanking or banging noises. If you notice any of these sounds, you should be sure to schedule a water heater replacement right away. If you need new water heater installation near Jacksonville, you may be wondering which type to choose. To ensure that you select the best option for your home and needs, consider these common tankless water heater myths before you make a decision. Myth #1: There is little difference between tankless water heaters. 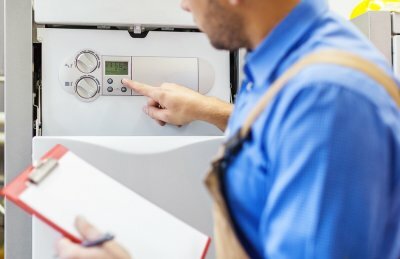 Over the years, these water heaters have benefited from technological advances that make some of them more reliable, cost-effective, or easy to install. Because some brands have adopted newer equipment while others haven’t, not all tankless water heaters are of the same quality. You’ll find that some brands boast greater reliability and firepower, while others will lack in the areas of product support and upkeep costs. Myth #2: You can switch to a tankless water heater without an inspection or permit. While this is true for some areas, it’s not a blanket truth. Your jurisdiction may require both a permit and an inspection before you install your new water heater. To find out more, talk to a local and reputable HVAC company to learn about the requirements for changing to a tankless water heater. Myth #3: Making the switch to a tankless water heater is simple. The fact that changing your water heater type is not so easy to accomplish may have something to do with the truth behind myth #2. Unfortunately, most homes were installed with conventional water heaters without any plans to accommodate a tankless system. Your home’s gas line, meter, and piping must be of sufficient size to handle the greater requirements of a tankless water heater. A successful installation is essential for ensuring optimal performance from a tankless water heater. Myth # 4: It’s expensive to operate a tankless water heater. 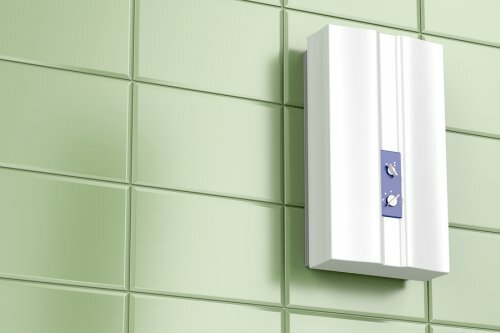 Tankless water heaters can potentially save you money on your energy costs. Conventional water heaters must keep a sizeable container of water heated throughout the day and night, even if it isn’t in use. 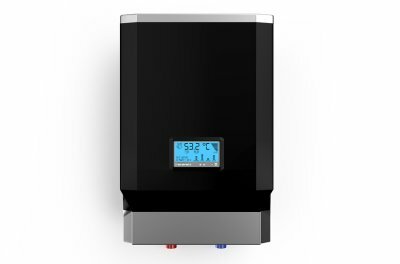 Tankless water heaters warm water only on demand, potentially saving you money on your monthly energy bill. Without your home’s hot water heater, there are many daily tasks that you won’t be able to complete. From taking a shower to washing your clothes and dishes, you need a functional water heater to survive, so you will need to call a plumber right away when your current water heater gives out. Eagerton Plumbing Co., Inc. can help you install a new water heater in Jacksonville whenever you need one. There are certain signs that will indicate that your water heater is going to fail at any moment. For example, if you have discolored water coming out of the faucets in your home, it’s a sign that the sediment inside of your water heater’s tank has become dislodged as a result of a problem with it. Likewise, a leaky tank will show that it’s time to call the plumber for a new water heater. By keeping an eye out for these signs, you can replace your water heater before it completely fails on you. When you work with Eagerton Plumbing Co., Inc., we will act quickly to get a new water heater installed so that you aren’t left without hot water for an extended period of time. Do you have a standard storage-tank water heater that’s on its way out? If so, you’re probably looking into having it replaced. But with so many options on the market today, which hot water heater is the right one for your home? You could choose to replace your old water heater with another storage-tank model, or you could take the opportunity to switch to a tankless water heater in Jacksonville . Here are some things to consider when making your decision to switch. When in doubt, consult with your local plumber. Like its name suggests, a tankless water heater does not have a storage tank that houses a reservoir of continuously heated water that is available for immediate use. 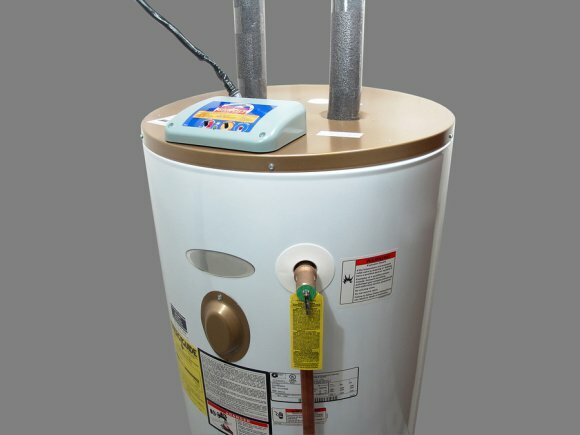 This type of hot water heater is much smaller than its storage-tank cousin, and since it only heats water when needed, it can be relatively energy efficient when compared to a traditional model. You shouldn’t be too hasty when making the decision to switch over from a standard storage-tank water heater to a tankless one. Be sure to do as much research on tankless water heaters as you can, and talk with a plumbing professional—that way, you can be sure that a tankless water heater is right for you. Before you decide, you should figure out how much hot water you and your family actually use on a daily basis. For example, if you have a large family that requires the use of a lot of heat water, a tankless system may not be a good fit for your home. There are some notable pros and cons regarding tankless water heaters. Pros: Tankless systems don’t take up as much space as standard hot water heaters, don’t need to keep reservoirs of continuously heated water, and may lower your monthly energy bills if you install the right model. Cons: Tankless water heaters cost more upfront to purchase and install than traditional models.